This is a completely private unit. Beautiful New Orleans single, shotgun home with high ceilings, heart of pine floors, cypress doors, beautiful old windows and architectural details. Living room with comfy furniture, couch, chairs and tv. In the bedroom is a queen size bed and armoire. The bathroom is new with shower. Relax on the front porch or walk to watch the bands just a few blocks away. There are many new restaurants, bars, coffee shops and galleries that have opened up in the area to explore. I've lived in New Orleans for 15 years and love my new hometown! I moved here from Indiana where I ran a vintage clothing store, used record shop and then worked in a battered women's shelter. I chose to live in this area because of the wonderful mix of neighbors and the closeness to the Quarter where I can walk to Mardi Gras or walk through the centuries old village on a quiet, misty morning. Many wonderful and talented artists, musicians, and other eclectic people live in the neighborhood making it an always inspirational place to visit or live. There are many wonderful and relaxing ways to enjoy the guesthouse and yet be a quick walk to great bars and restaurants. During Mardi Gras, you can step out on the front porch to watch the pop up parades. Bathroom is right off the bedroom with a new tiled shower. This guest spot is in the Marigny but also close to the Bywater, only 1 and a half blocks away We are also close to Frenchmen Street and St. Claude Avenues, great music spots. Small dormitory size refrigerator included. Cups, plates and silverware included. We had a wonderful time staying in your charming shotgun house. The neighborhood is quiet and we were able to walk to the French Quarter with ease. This place is perfect for a couple to stay. Thanks again. Lovely getaway, perfect for two. Thank you! Great little, very efficient home. Owner accessible , lives near by. Great little house, comfortable, clean and neat. Good location, 4 blocks to French Quarter and the U.S. Mint & French Market. 4 blocks to Frenchmen St and great music. Also great local restaurants and bar scene and sights: Cake Cafe, Who Dat Restaurant, Country Club Restaurant, Lost Love Lounge, Miami's in the Marigny. Great place, location, neighborhood and people. A cozy stay at this VRBO. Within walking distance to the local grocery store and restaurants. Like being in a neighborhood but still close enough walk to the French Quarter. Would definitely stay again if in the area. We stay at HomeAway properties on every adventure. This has to be our absolute favorite! The shotgun was absolutely adorable. The neighborhood is an amazing treasure! We are completely in love and will definitely be returning! The rental was very thoughtfully stocked and we couldn’t want for anything. This was a great guesthouse. Rita has done a wonderful job making guests feel welcome for a “ home away from home”. We especially appreciated the cleanliness and extremely comfortable bed. We had everything we needed for our week’s stay in New Orleans. Loved the decor, and the location was great for exploring and enjoying the city. We purchased Jazzy Passes for bus and streetcar transportation and they were well used and appreciated. 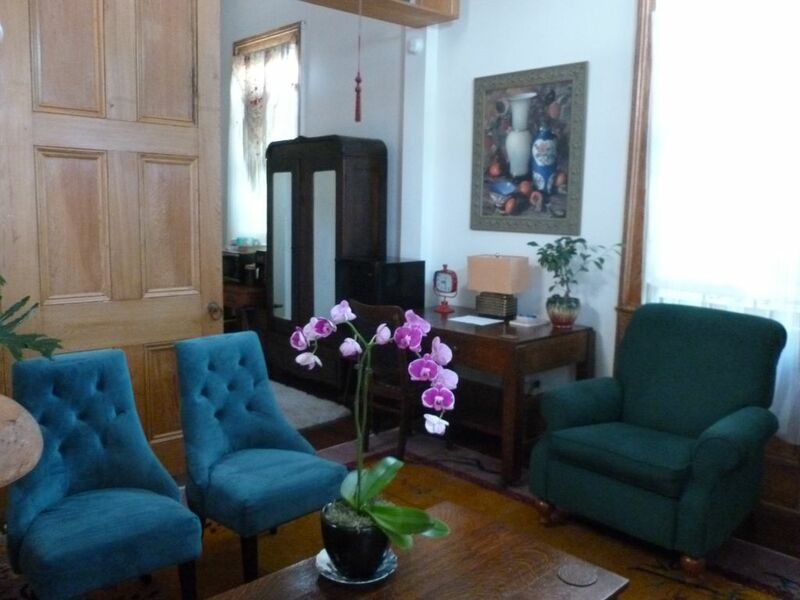 Within walking distance to the French Quarter, approximately 10-12 blocks.